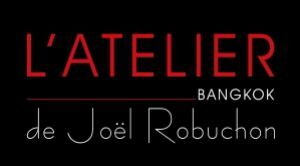 Joel Robuchon, Chef of the century and most decorated Michelin Star Chef in the world is now opening a new L'Atelier restaurant in Bangkok's prime location?- MahaNakhon Cube. L'Atelier de Joel Robuchon is a unique dining concept where chefs experiment and create, working on new ideas and fusing different concepts in front of customers who are seated around a high bar that surrounds the open kitchen. Traditional tables and private dining room are also available. This presentation immerses guests in a dining experience where guests are part of the action, separated by a counter between kitchen and main dining area. Mr. Robuchon has likened L'Atelier to an artist's studio, where diners can witness chefs create, prepare and cook innovative dishes right before them, and chefs have the pleasure of watching diners enjoy their meal. Consequently, the level of interaction between chefs and diners will be heightened, encouraging the chefs to better their craft. What Mr. Robuchon wants to convey at L'Atelier is the atmosphere of conviviality that lets diners relax, be liberated and enjoy a great meal. Likewise, the service, highly professional, demonstrates an attentive sense of care and warmth.